Red Creek is once again offering this ESSENTIALS training, which includes hands-on practice with deceased birds and mammals. Although this course is designed wildlife rehabilitators, it is also valuable to those involved in exotic and small animal rescue. Why do we make this offer? We offer these classes to save animals — Not to make money! 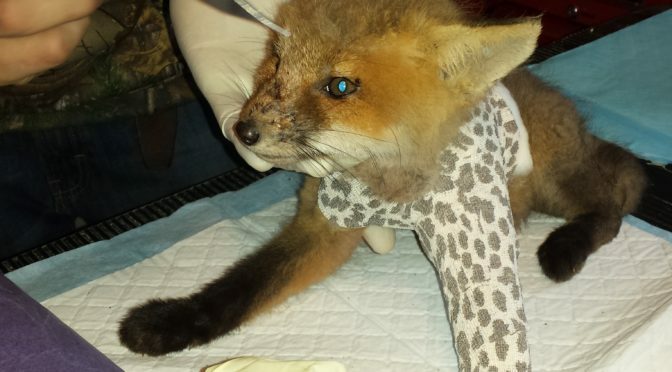 One of Red Creek Wildlife Center’s missions is to help other’s become wildlife rehabilitators. It is through these students that we can help save even more animals than just those who are admitted to our center. These courses are essential for new wildlife rehabilitators, and those studying to become a wildlife rehabilitator. We can’t offer these courses for free because they cost us so much to produce, but we do try to keep our prices reasonable. We understand that wildlife rehabilitators often donate their time and pay for their own supplies. They can’t afford massive prices. But we also want to be sure that those enrolling in our courses are committed and value the education. Once someone makes the investment of enrolling in full-access, we want to help them as much as we possibly can in the future. We do this by including all of our courses produced by Red Creek in the future without ever charging again. No yearly fees, no hidden surprises. Have you purchased individual classes already? Sign up for FULL-ACCESS and get credit for the courses you’ve already paid for. We refund your past enrollment fees to your PayPal account once you are enrolled, and we’ve confirmed your past enrollment!